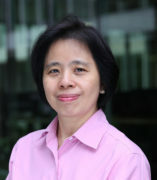 Associate Professor (with tenure), Department of Finance, University of Illinois at Chicago, 2006 -present. Visiting Scholar, Kellogg School of Management, Northwestern University, Spring 2008. Visiting Financial Economist, Research Center, Shanghai Stock Exchange, Summer 2006. Visiting Scholar, Stern School of Business, New York University, Summer 2005. Assistant Professor, Department of Finance, University of Illinois at Chicago,1999 - 2005. Ph.D. in Finance, University of Minnesota, 1999.